Another Summer on the Vineyard has come to an end. Restaurants are closing left and right now that Columbus day has come and gone. This is the time of year on the Vineyard when you call a restaurant and cross your fingers that someone answers the phone. 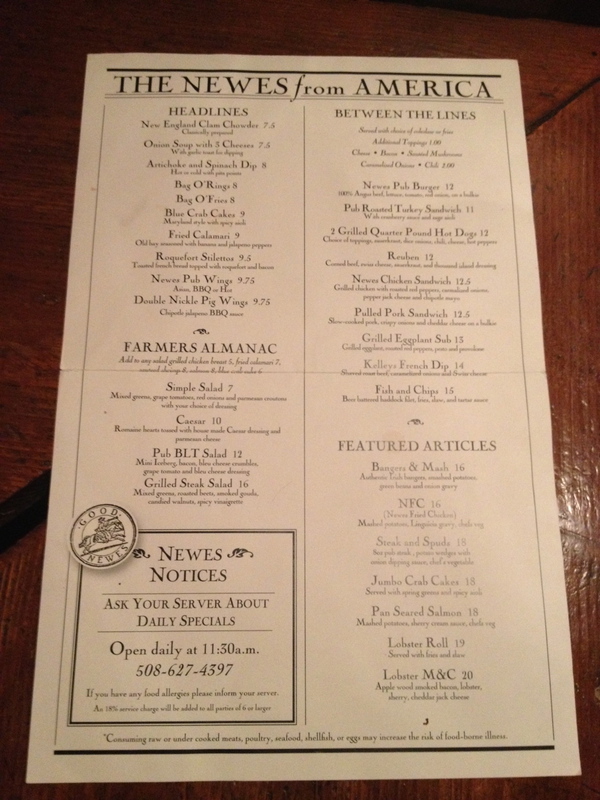 A decent spot that is opened year round in Edgartown is The Newes from America Pub. “The Newes” as most call it is located on the bottom floor, or may as well say the basement, of the Kelley House hotel. The Kelley House was built in 1742 so, needless to say it’s an old building. It’s right in the middle of Edgartown so it’s a great hotel to stay at and gets good reviews. The Newes goes for the old english pub feel. There are some different choices on the menu including bangers and mash and roquefort stilettos (French Toast bread topped with roquefort and bacon). What the hell is roquefort you ask? I have no idea but wikipedia tells me it’s a sheep milk blue cheese from Southern France. The Newes has main stream things too such as fish n chips, a reuben, and even hot dogs. I have never had a bad meal at The Newes. That being said I have never had an unbelievable meal here. One warning – Since it’s in the basement it’s a pretty dark place. Good place to go if you’re having a bad hair day. They do have limited outside seating if you’re afraid of the dark. the NFC – New Fried Chicken. My girl got the reuben. The Chicken was pretty good and seasoned nicely. 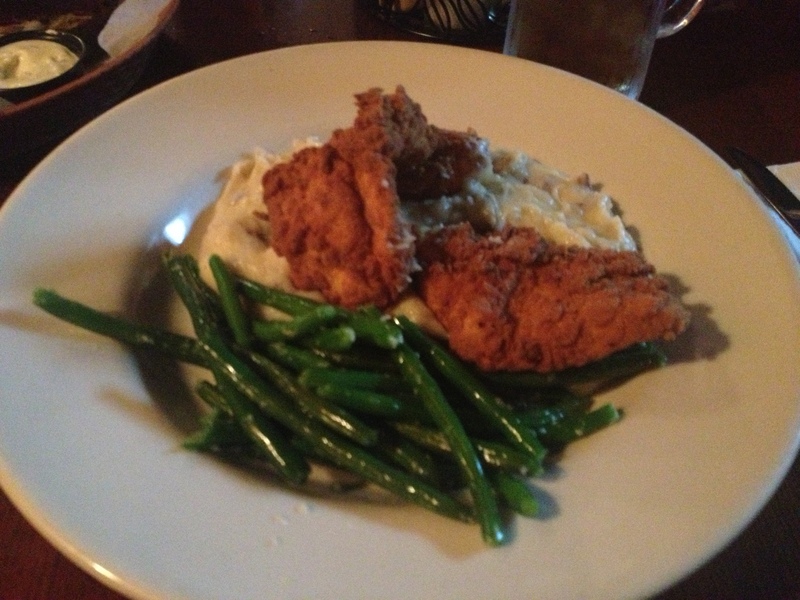 Not enough chicken and wayyyy too much mashed potatoes, but nevertheless good. 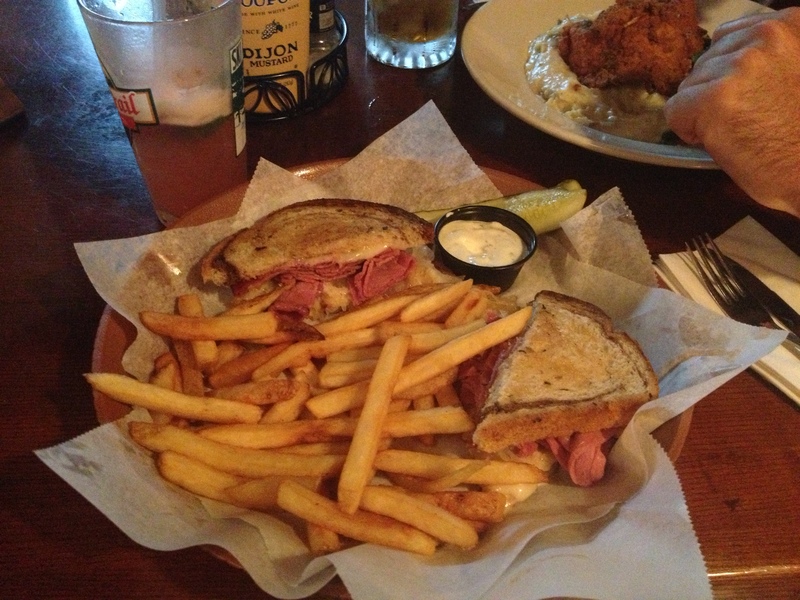 The Reuben was good. Always is good there. Fries are good. It’s pub food. Guess that’s why they call it The Newes from America Pub. 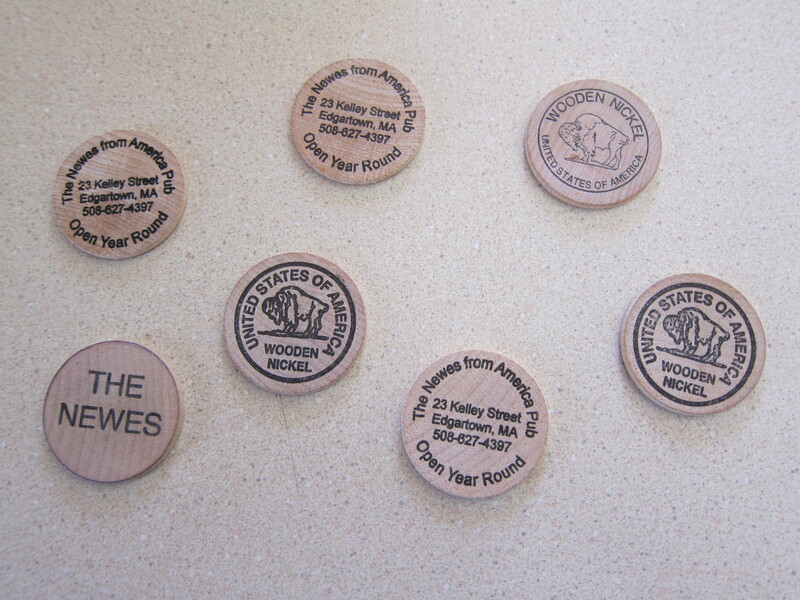 One interesting thing they do at the Newes is they give you a wooden nickel when you order a beer. They have a nice selection of draft beers which changes seasonally. You save the nickels and when you get so many you can have your name on a bar stool. Give you that “cheers” feeling. And yes, if someone is in your stool you can kick them out. I had lunch there with friends in late September and totally agree: the food is good and it’s a cozy place to hang out with friends. The service was fine, attentive but not obtrusive. (We lucked out: no sign of Mr. Friendly.) I don’t get there often because I don’t go to Edgarville all that often, which means I’ll never have enough wooden nickels for a bar stool, but I like the idea. Hi Susan ! Thanks for the comment and glad you enjoyed the Newes. Hope all is well !